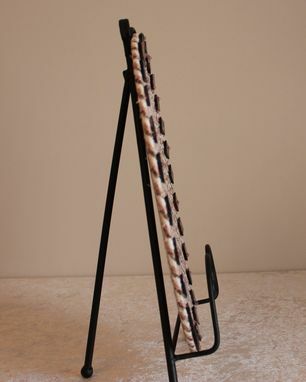 Table Center Piece - Table Topper - Fabric Art - Fabric Wrapped Clothesline. 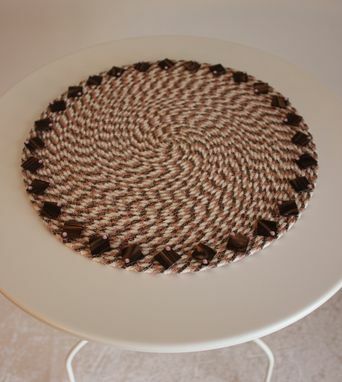 Spiral Design. THIS PIECE HAS A UNIQUE SPIRAL DESIGN. 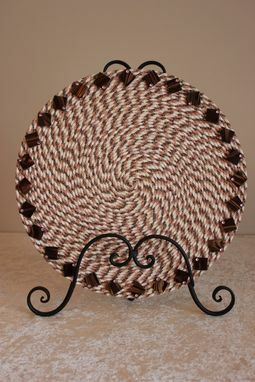 This TABLE TOPPER is the perfect accent to your end table or dining room table. 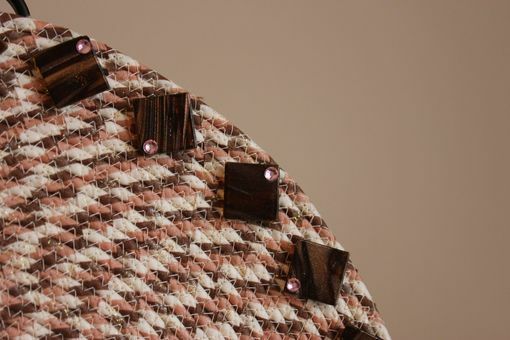 Piece is crafted by hand wrapping strips of fabric onto clothesline and then machine sewn with a zig zag stitch. Colors are pink, brown, and ivory, with flecks of shimmer in the fabric. Edges are accented in brown tile.